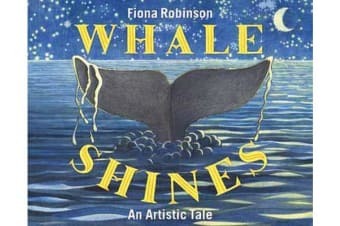 Once upon a tide, a whale dreamed of being an artist. All day, Whale swims through the ocean, wearing a poster advertising the big Art Exhibition. He visits the Corals who collage, the Squids who paint with ink and the Hammerheads who build sculptures. Whale sees how much fun his friends are having and wishes he could be an artist too, but he doesn’t know what to make. Plagued by self-doubt, he insists he’s too big for painting or sculpture or collage and he grows frustrated with his relentlessly encouraging sidekicks: the Plankton. However, when he swats them away in annoyance, he realises he has a special talent after all. The Plankton are bioluminescent and by moving through them, he can create a glow-in-the-dark performance piece. As one of the few sea creatures who breathes on the ocean’s surface, Whale has seen the night sky and he uses his newfound talent to share Starry Night with his underwater friends. 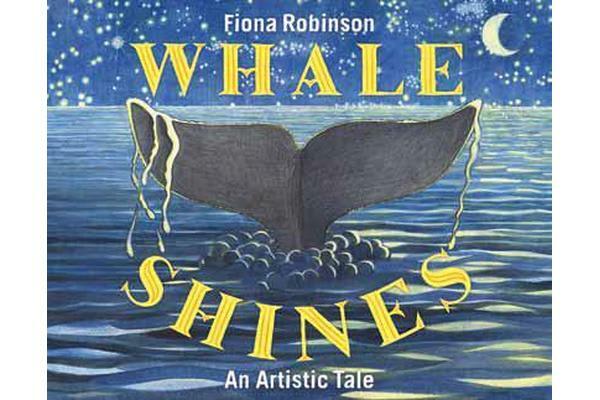 The performance is a grand success and Whale learns that anyone can be an artist and everyone has something unique to contribute.